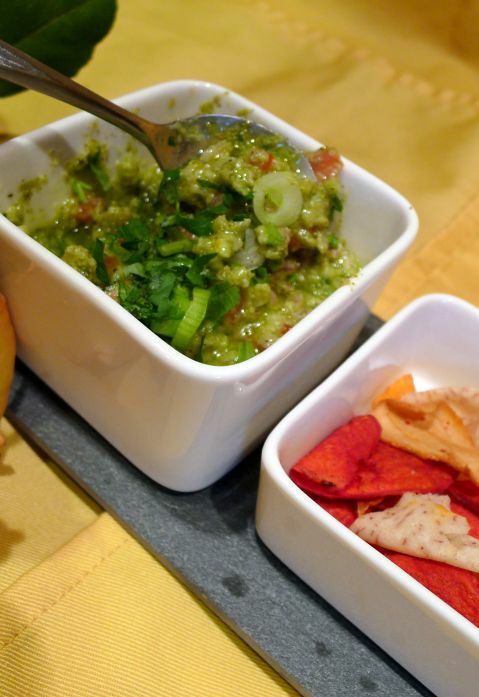 Everybody know what Guacamole is right? 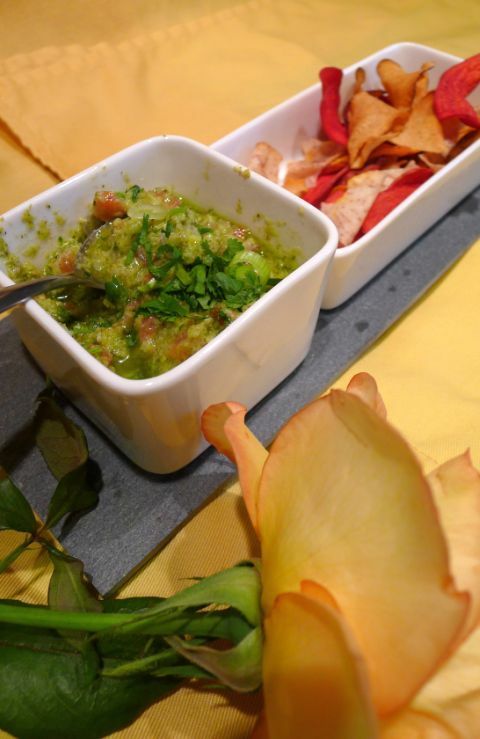 Guacamole is dip made with mashed ripe avocados combined with tomato, onion, chili, and sour cream..
Brocamole is a playful starter with the same concept but steamed broccoli is used instead of avocados. Avocados are tasty, creamy and delicious but they are full of fat so if you want to try a lighter version give the Brocamole a try. 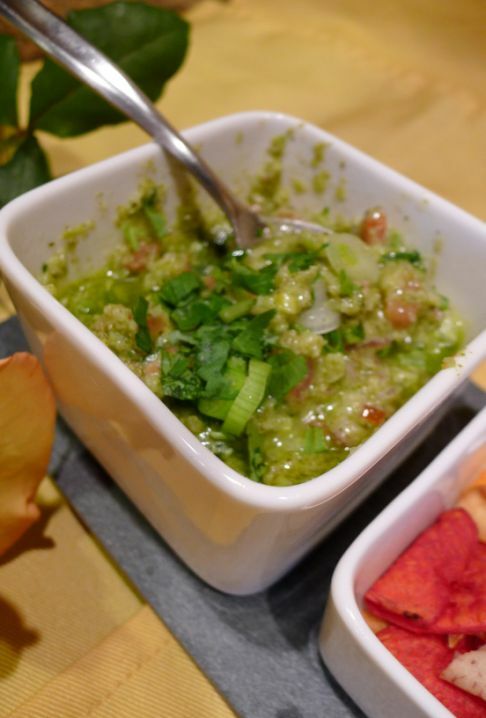 When I served this appetizer my friends were surprise that it was made with broccoli and they thought it tasted just like a creamy avocado. This recipe is from Ludo Lefebvre, the charismatic French Chef who created by accident Ludobites the "Pop-up restaurant" culture. If you live in the Los Angeles area you can catch his LUDOTRUCK (sign up with twitter and they will let you know the location) that specialized in Fried Chicken. I added a bit of sour cream to the Brocamole to make it creamy! You can eat as much as you want without feeling guilty! 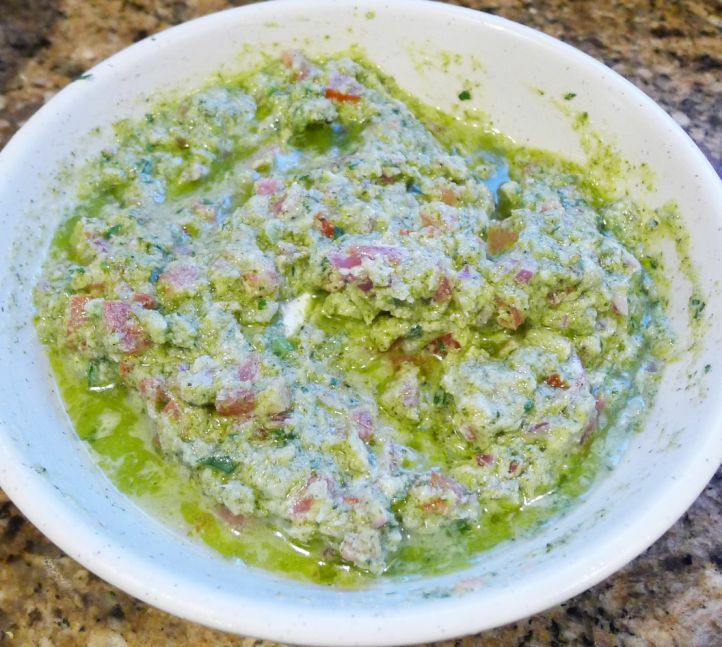 Low calorie dip (lower than avocado for sure). 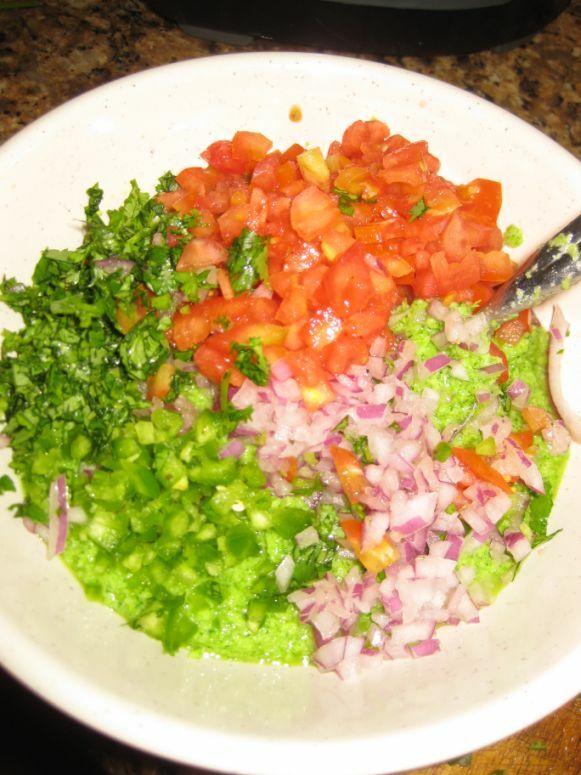 I like to add lots of tomatoes, diced jalapenos, and lime juice to make this dip tangy and spicy! The Brocamole was a success! Everyone loved it. 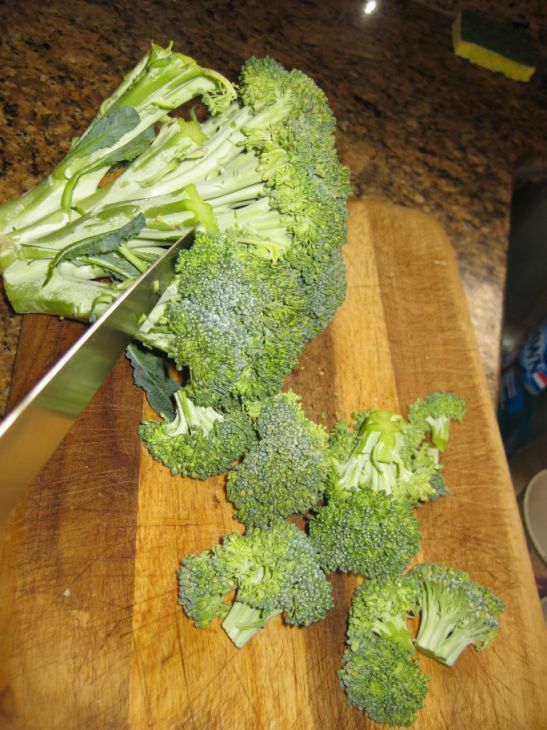 Trim the stalks from the broccoli florets. Bring a large pot of water to a boil over high heat. Add the broccoli and cook for about 5 minutes, or until the broccoli is crisp-tender. 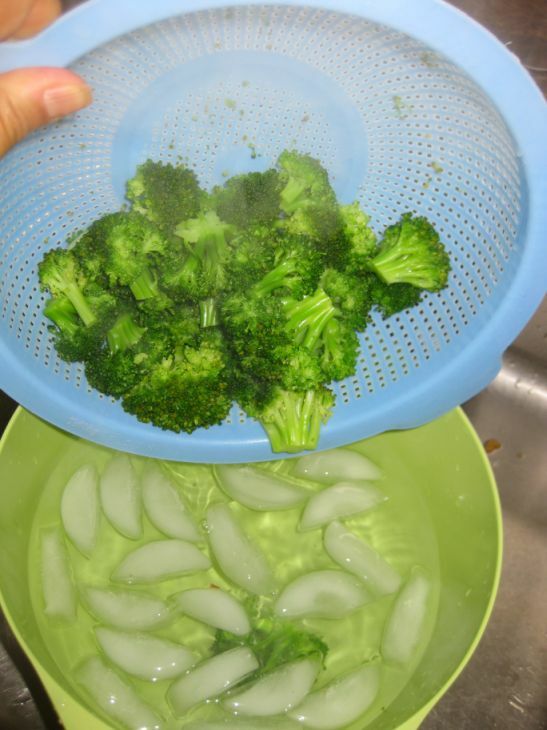 Drain and transfer the broccoli to a large bowl of ice water. 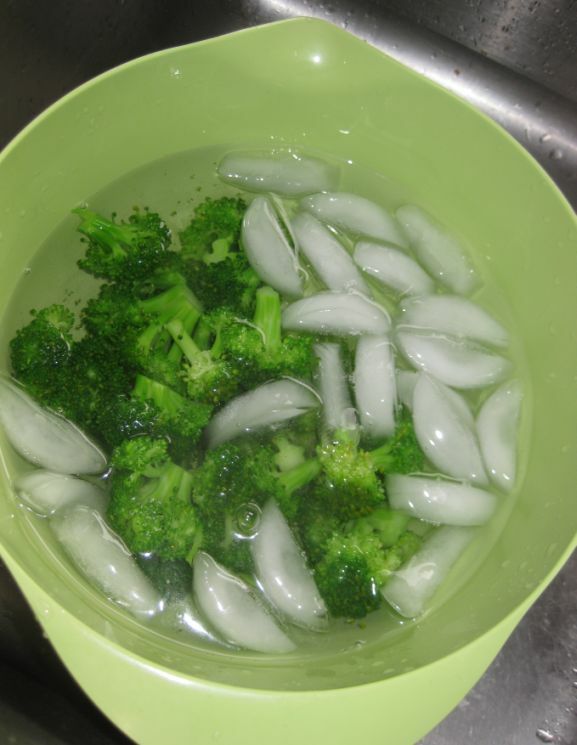 Leave the broccoli in the ice water for a few minutes until chilled. 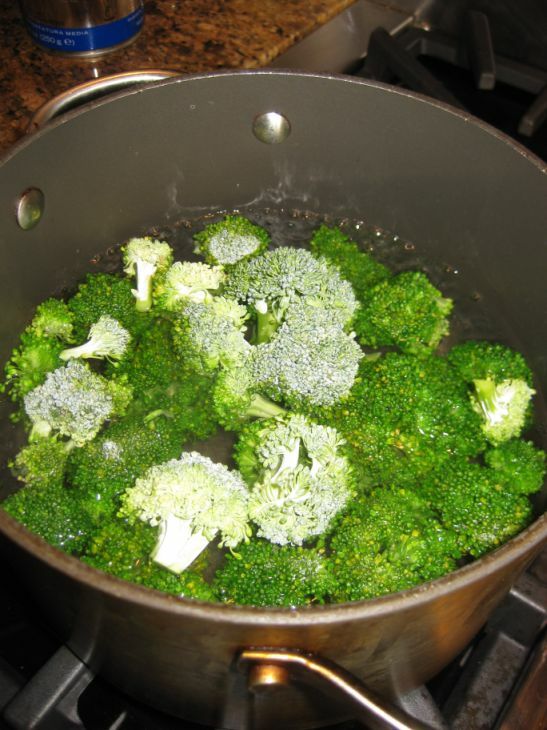 Transfer the broccoli to a colander and set aside to drain well. 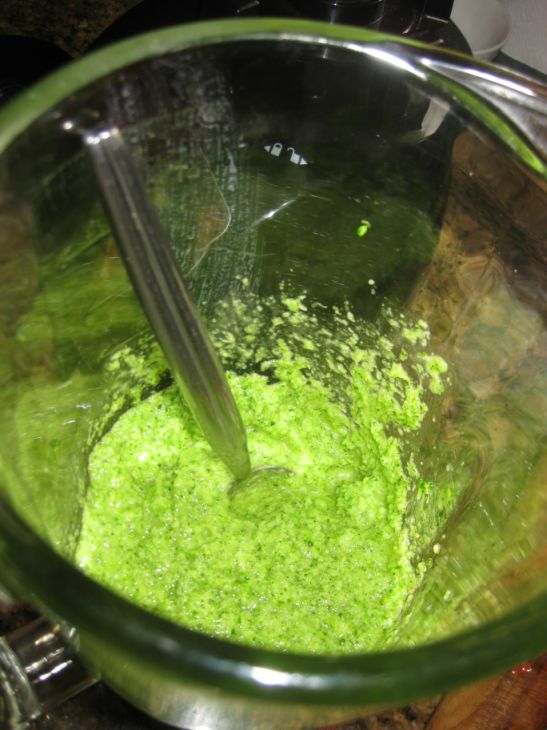 Keep blending until finely chopped. 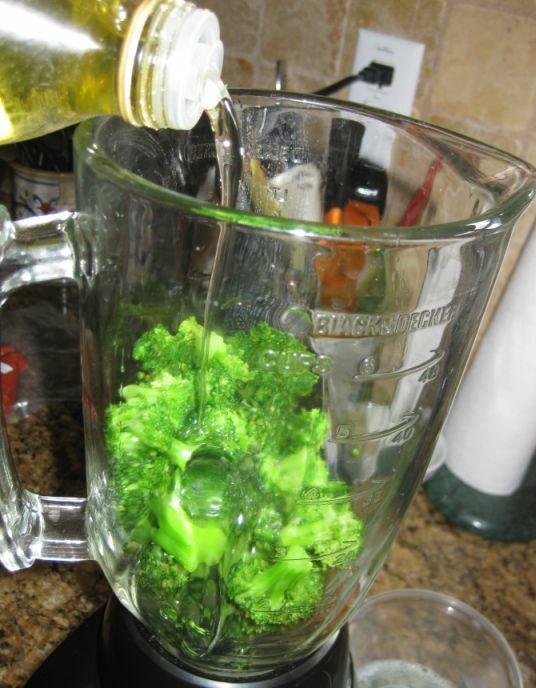 Transfer the broccoli mixture to a medium bowl and set aside. 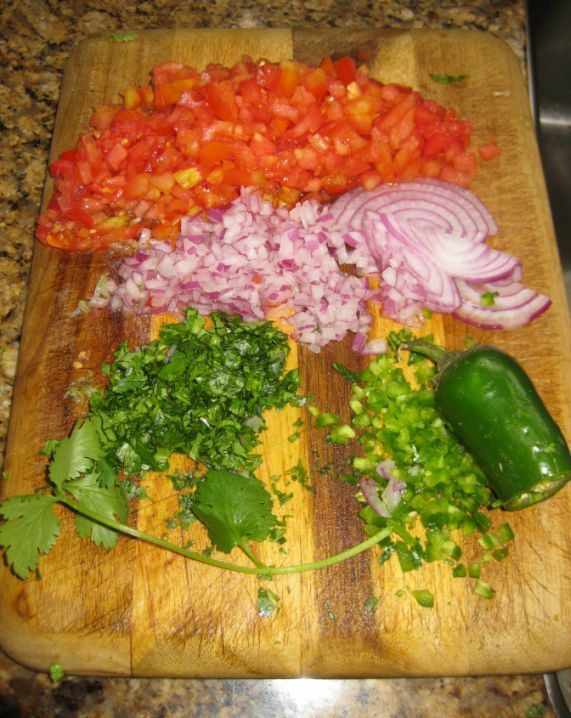 Chop the cilantro, the japenos, red onions, and tomatoes. 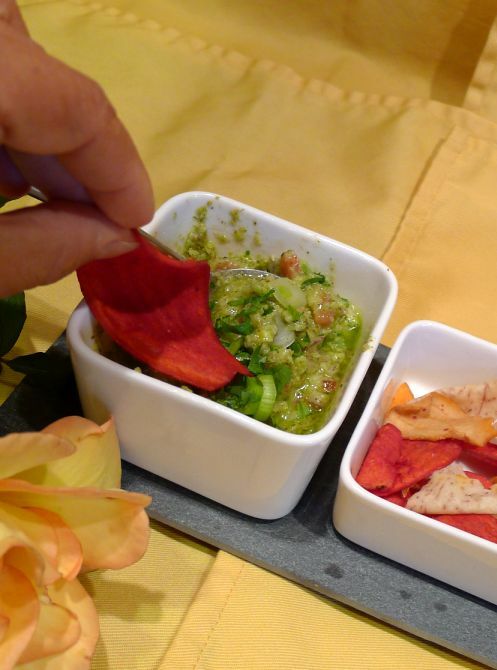 Mix the broccoli puree with all the vegetables. Add a few tables of sour cream (optional) and season to taste. Refrigerate for a few hours so that the flavors can mature nicely.